To decide on patterns for hats, she gave me a general idea of what she wanted and I sent her pictures from my Ravelry library to pick from. The first design she settled on was Bronntanas by Ysolda Teague. It's a lovely cabled beanie with slouch that I've always liked, plus I've never actually made up any of Ysolda's patterns before, so this was a nice opportunity to give her a a try. This design has an all over cable design that comes out a kind of honey comb style. Now, the eagle eyed among you will notice that my hat seems more like stripes of cables ... and you would not be wrong, lol. I seriously had to restart this hat 3 times because I didn't pay close enough attention to the pattern, and it wasn't until I was halfway through the second cable stripe that I realized why it wasn't looking right - The cable chart has 19 rows and after the first go through of the 19 rows you are supposed to go back to row 9 and work through it again ... and I just kept going 1-19 with 4 rows stockinette in between. Whoop! I was more than halfway finished with the hat at that point, and after being so sick and frustrated with my own oversights 3 other times I was not about to redo the entire hat again. I knew Marisa wouldn't notice the difference since the main pattern is the same and that it would still look good - it's just not exactly like the pattern sample. So I just kept going! This did mean that I had to keep trying it on for length to make sure I got the required slouch. After a thorough explanation of yarn and fiber content and heat retention and wash-ability, my sister decided she wanted these hats made of superwash wool. When Craftsy had Cascade 220 Superwash on sale for $8.50 per skein, I knew it was what we needed. I love using this yarn - it's such a work horse and always turns out nicely. Marisa decided for this particular hat to be made with the charcoal colorway and I like how it turned out. I did make sure to block the hat just to get the cables to lay nicely, and I decided to finally try blocking the hat on a balloon which worked wonderfully. It was pretty funny to keep blowing up and deflating the balloon with a tape measure around it until it was the right size, lol. Worth the effort though. I really like the garter stitch brim on this hat and that it's looser around the face. I also really like the slight slouch it has going on. 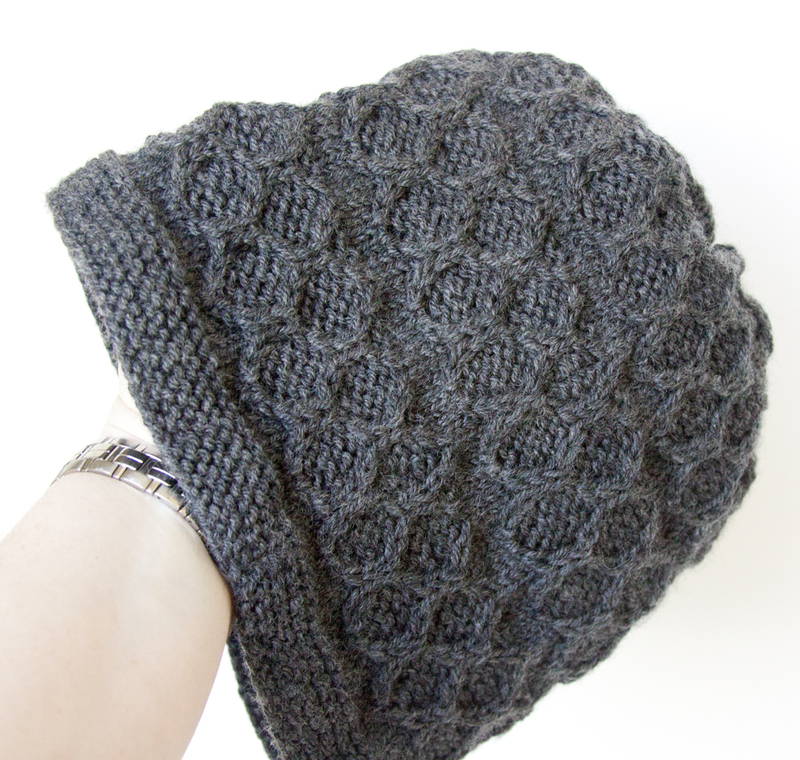 Just a casual hat with a cute pattern all over. What's not to love? Even though I didn't make it just like the pattern, I can definitely say (well, reluctantly admit is more like, lol) that my mistakes were my own fault for not reading through the pattern better. I would definitely recommend this for a cute but not difficult design. 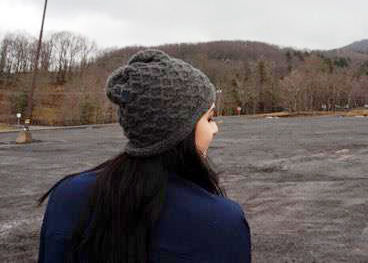 And here is the hat in action on Marisa's tubing trip somewhere in West Virginia. She's happy, I'm happy, and I'm no longer sick, lol. All good things. 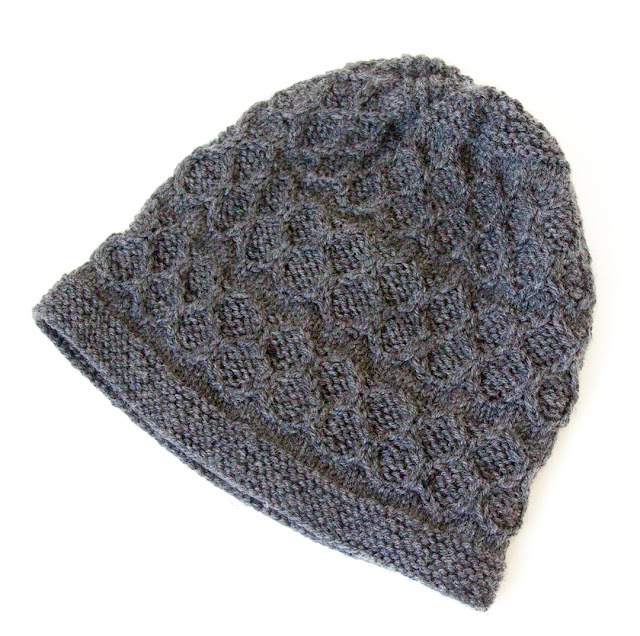 Yay for cute cabled hats!